Many bloggers integrate their blog with their social media profile page. In this manner, they can be connected with both of the sources at the same time. 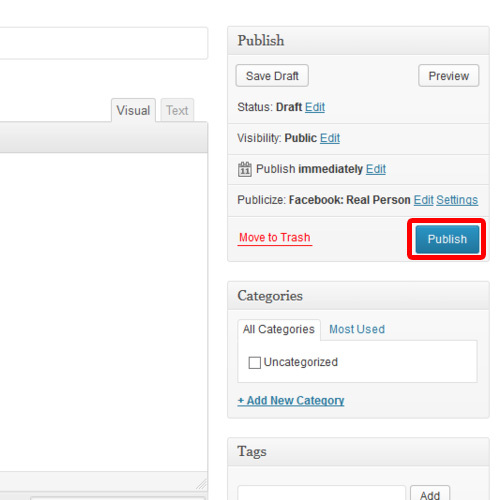 This functionality depends upon the blog’s architecture. In this tutorial, we will teach you how to post wordpress to facebook page. Please be careful: there are WordPress.com and WordPress.org hosting platforms. 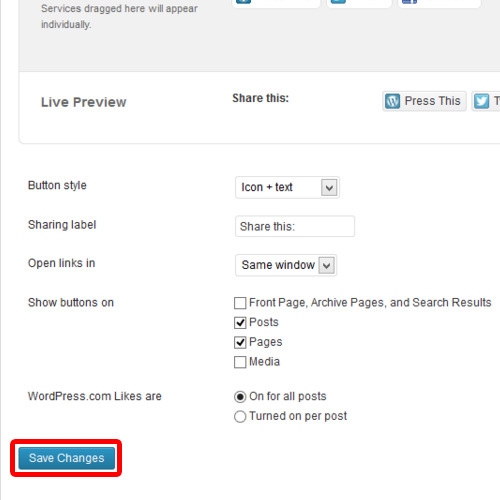 Share option is included by default in WordPress.com. Selfhosted/installed WordPress.org users can enjoy similar functionality as part of the Jetpack plugin. Follow this step by step guide to learn how to post wordpress to facebook page. To connect wordpress to your facebook page, open the site’s dashboard and facebook profile in adjacent tabs. 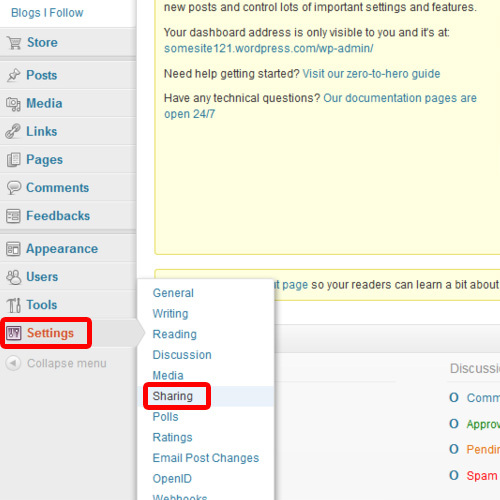 Once done, go to the settings tab in the wordpress dashboard and click on the Sharing option. 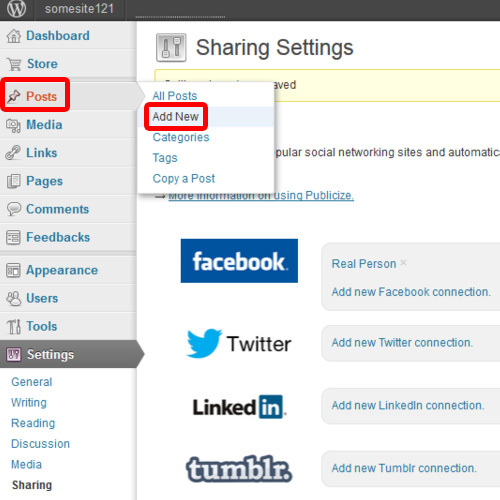 As a result, the Sharing settings page will open. Now, we will create a facebook connection. 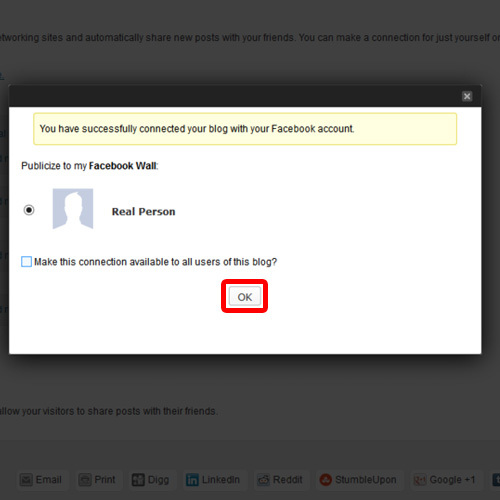 In order to integrate wordpress to facebook page, click on the “Add new facebook Connection” option. 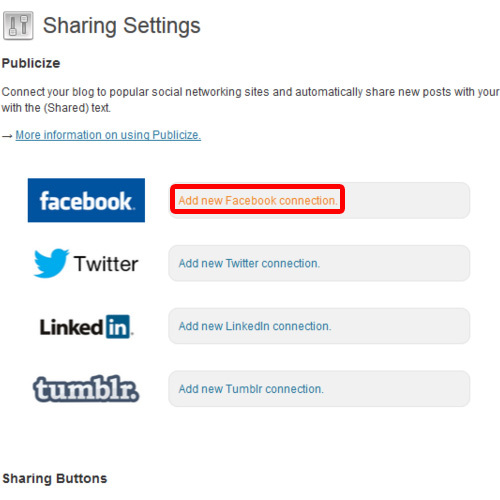 After that, you will be prompted by a notification which will ensure that you have successfully connected your blog with your facebook account. Click on the Ok button to proceed. The linking of accounts was easy because we had our facebook page opened right next to our dashboard. WordPress automatically configured the connection for the page that was opened in the adjacent tab. In order to save the changes, scroll down to the bottom of the sharing settings page and click on the save changes button. Now let us check the connection by publishing a new post. In order to do so, go to the Posts tab and click on the Add new option. Now, give the post a suitable title and write some text in the body. Once you are done, click on the Publish button located on right side of the screen. The page will re-load and you will get a preview of your post. You can always go to your facebook page opened in the other tab and refresh it. You will find the word press post on your facebook wall over here.